It's a Sticky Question... What Do You Do With 6 1/2 Tons of Honey? The Fairmont Waterfront - 4,700 pounds. Ask The Fairmont Empress, Vancouver Island hotel what do to with a ton -- or two -- of honey and our experts have a ready answer. Craft a wheat and honey beer with Hoyne's Hefe, serve it with scones at Afternoon Tea, craft honey vinaigrette, honey and thyme jus, truffles, homemade peanut butter, desserts, sauces, lip balm... and use it on popcorn. The latest idea is to use it in Willow Stream Spa treatments, based on research that honey is an anti-aging skin care product and used centuries ago by beauties like Cleopatra. The Fairmont Olympic, a renowned green Seattle hotel, celebrated their second season of beekeeping and is getting a buzz from the honey ale produced from their rooftop apiary. In partnership with Pike Brewing Company, a saison-style ale infused with honey was formulated and is on tap at Shuckers. In Vancouver, The Fairmont Waterfront's sky-high hives house half a million honeybees that yielded 700 pounds, with an additional 4,000 pounds from off-site hives. Resident beekeeper and executive sous chef Mark Wadsworth is known for his mid-afternoon rescue of a swarm in a hotel pillow case from a nearby tree. Their honey-inspired Afternoon "Hive" Tea pays homage to the sweet stuff with goodies prepared with herbs and honey from the garden. Across town at one of the world's busiest airports, The Fairmont Vancouver Airport is home to approximately a million honeybees that reside on the airport's land at McDonald Beach Park. The array of indigenous plants and flowers provides a menu that creates a mélange of sweet and spicy notes with hints of cinnamon and apple in the honey which can be sampled in items like the rum-based Honey Harvest cocktail, Honey Cheesecake, or house-made Honey Ice Cream. A great gift, our Vancouver Airport hotel offers its particular brand of honey for sale at the hotel and in the domestic terminal. 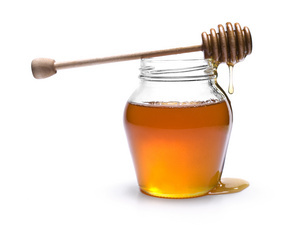 To celebrate the Honey Harvest, there is a sweet deal of an offer: book and pay for accommodation prior to October 31, 2012 and receive a 20% discount off room and dining, and a sweet treat on arrival. This offer is available at our green British Columbia hotels, including The Fairmont Empress in Victoria, The Fairmont Vancouver Airport, and in downtown Vancouver, The Fairmont Waterfront, The Fairmont Hotel Vancouver and Fairmont Pacific Rim, as well as our Seattle hotel - The Fairmont Olympic. For reservations, call 1-888-830-1144.